Menopause: Should you take hormone replacement therapy? Female hormones are complicated. But it’s only when they begin to wind down that we realise how much work they were doing behind the scenes, month in and month out. As menopause creeps up, the symptoms that females may experience as a result of the hormone changes can come as a rude shock. Hormone replacement therapy may be able to help with some of the changes at this time, but it isn’t without side effects. The main culprit for the menopausal symptoms is oestrogen and it will be this hormone that we’ll be discussing mostly today. Her sister, progesterone, will also be making an appearance along the line. 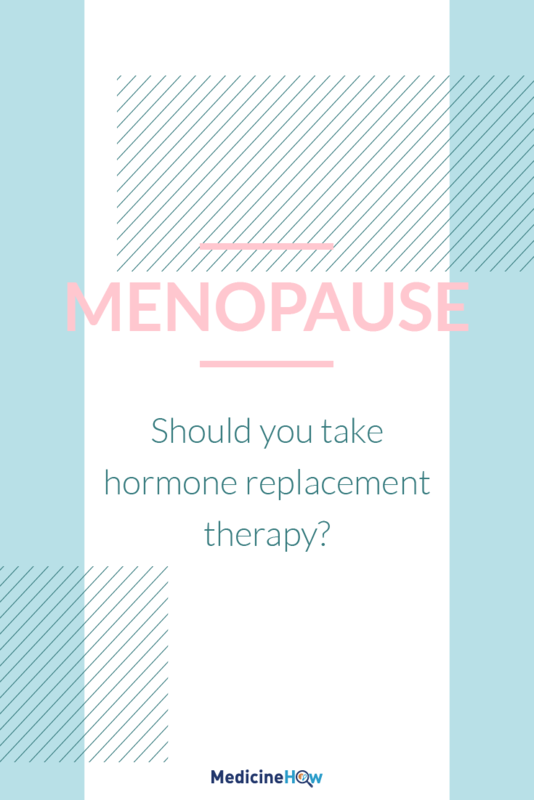 We’ll take a look into the reasons behind each of these and at the end, there is a helpful quiz to help you work through your options about menopause and hormone therapy. Oestrogen is a shining star behind the allure of a woman. Each month when a woman is approaching ovulation – physically at her peak for reproductive purposes – the hormone behind her natural radiance is oestrogen. Progesterone, on the other hand, peaks about a week before menstruation starts and is largely to blame for the PMS symptoms that many women experience, such as bloating, breast soreness and abdominal cramping. She’s oestrogen’s grumpy, jealous sister. 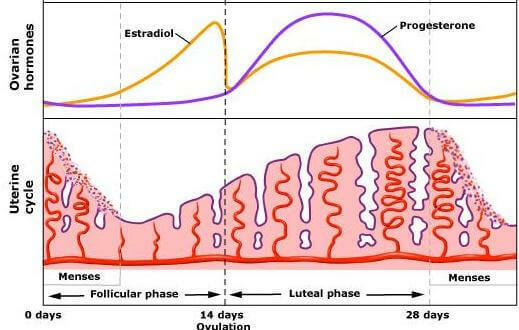 This picture shows the average estradiol (oestrogen) and progesterone levels of a woman throughout the reproductive cycle. Each month (roughly 28 days) a woman goes through these hormonal changes and they affect the way the woman looks, feels and acts. It is a good thing for women to be aware of their reproductive cycle and how their hormones might be affecting their mood. This might also help them to recognise when their hormone levels are beginning to slow down as she is nearing the end of her fertile years. When a woman reaches the end of her reproductive years and her menstrual cycle stops, her body experiences notable differences as the hormone levels change. Although there is still some oestrogen around, the body stops producing the hormone and she – and most likely the people around her – notice the difference. Here are some of the most common signs and symptoms women experience at menopause, due to the drop in oestrogen and progesterone. If you compare these signs to the effects of the oestrogen hormone, you can see how closely they are related. Oestrogen helps to maintain metabolism and without it, we tend to put on weight. The same deal with bone density. Without vaginal lubrication from oestrogen, the area becomes drier than usual. Importantly, many of these effects arising from hormonal changes can lead to serious diseases. As you can see, the bone mass of females decreases dramatically at around the age of fifty, when menopause sets in. This is partly due to decreased oestrogen levels, which usually reduces bone reabsorption. 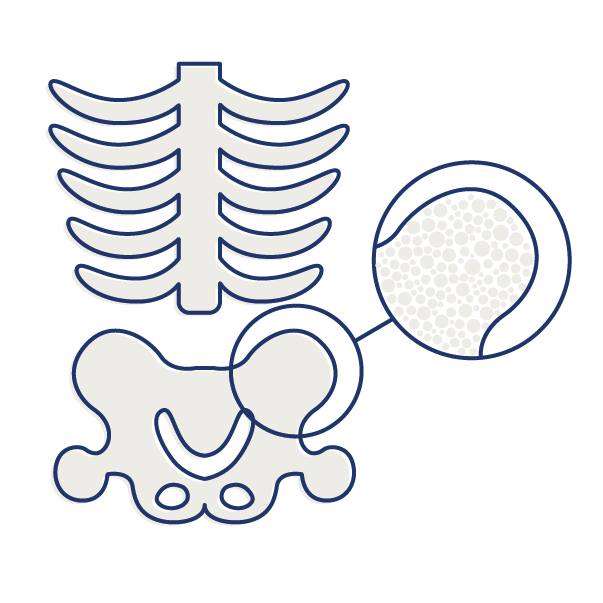 When the oestrogen levels drop at menopause, more of the bones are recycled, leaving them weaker and prone to osteoporosis. 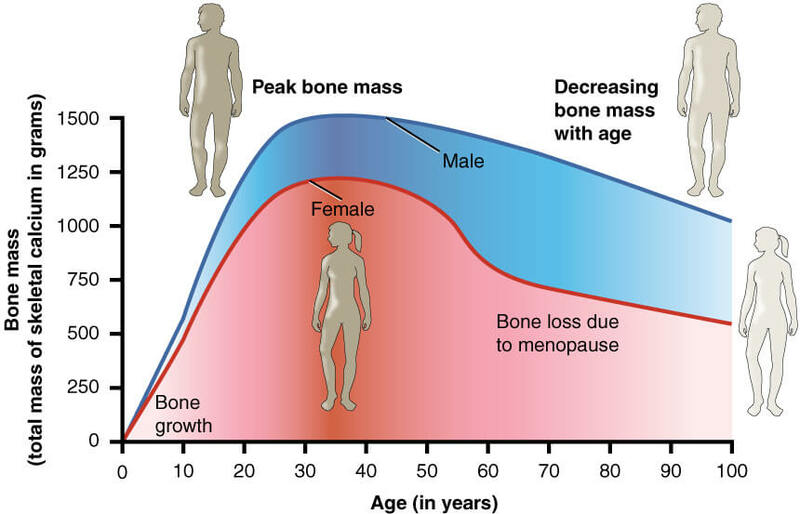 Bone mass usually decreases with age, as you can see by looking at the males on the graph, but when females lose their ability to produce oestrogen, there is a big change. Menopausal women are also more prone to cardiovascular disease. When they are younger, the oestrogen helps to keep their cholesterol levels in check and their metabolism working fast. When oestrogen production slows, abdominal weight gain is common, as well as high cholesterol. These both increase the risk of heart disease and, similar to osteoporosis, many more women are diagnosed with cardiovascular disease following menopause. You can read more about health concerns for menopausal women here. Understandably, many menopausal women wish to decrease the symptoms they are experiencing, in addition to decreasing the risk of the diseases associated with the hormonal changes at menopause. The theory behind hormone replacement therapy is simple: Replace the hormones. If we can do that, we should be back where we started, right? With oestrogen to keep our body in line and minimising menopausal symptoms. Sounds logical. And that’s basically what we do. Although both oestrogen and progesterone play a large role in female hormones, it is the depletion of oestrogen that has the most noticeable negative effect on menopausal symptoms. Hence, it is oestrogen that we are looking at supplementing in menopausal women to reduce the symptoms. 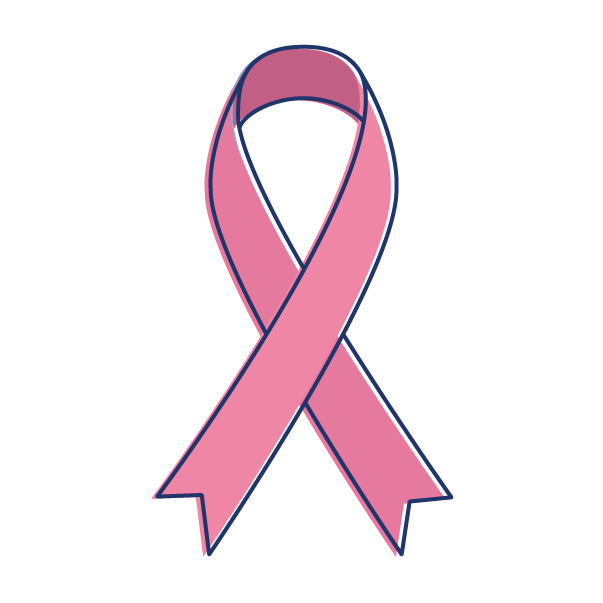 When many women began to take oestrogen to reduce their menopausal symptoms, however, it was observed that some years later these women were more susceptible to endometrial cancer. 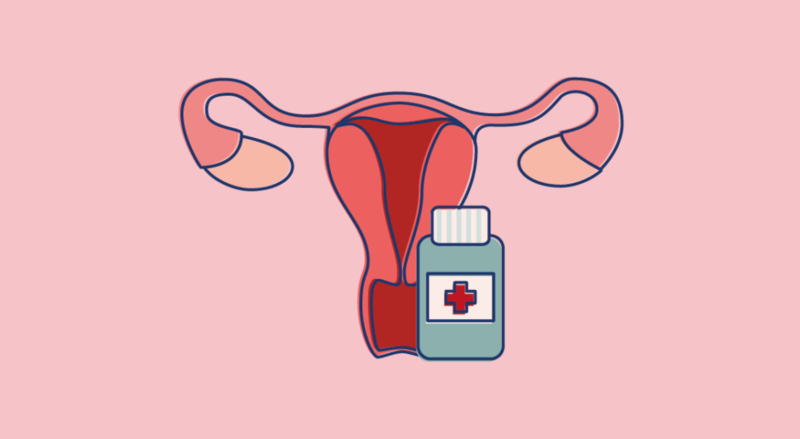 Fortunately, rather than abandoning the use of hormone replacement therapy, it was found the duo of hormones, oestrogen and progesterone together, reduced the risk of endometrial cancer yet still carried the benefit of treating menopausal symptoms (read more here). Additionally, there are some health conditions that are more likely occur to women on hormone replacement therapy. These include hormone dependant breast cancer, venous thromboembolism and some cardiovascular events such as stroke. If you have a family history of these conditions, you should consider the options carefully with your doctor. A huge benefit for hormone replacement therapy is that it works very well for many women. It is extremely effective at treating the symptoms that cause problems for menopausal women and is a convenient medication to take with just a pill each day. A common concern many people have is that menopause is natural. Our bodies are designed to stop producing oestrogen at around fifty years of age. The thought of adding the hormone back in artificially can irk come people. This is a valid concern and taking hormone replacement therapy is certainly a personal choice that you can choose to take or not freely. 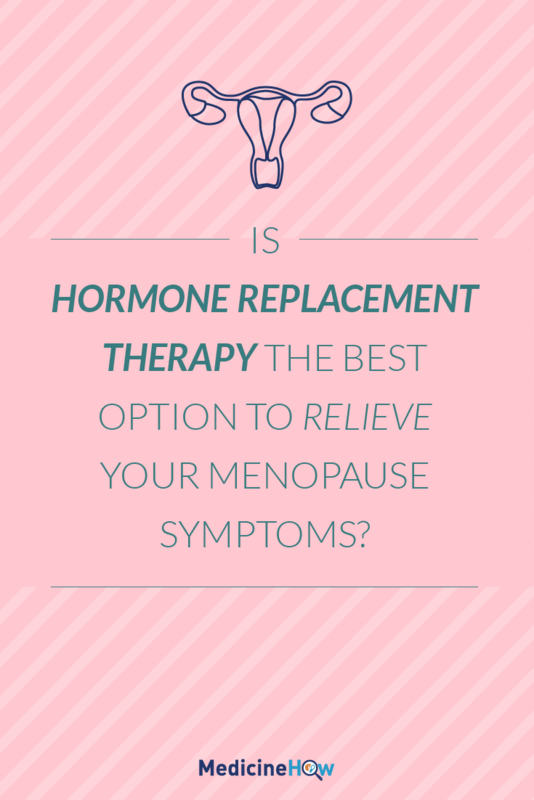 Should you take hormonal replacement therapy? As always with all things health related, the final decision comes down to you. Just because you hear hormone therapy works wonders for someone else, doesn’t mean it’ll be the same for you. Likewise, even if someone else experiences severe side effects due to taking hormone replacement therapy, you could take it without noticing that effect at all. It depends on the individual. We have to think about certain characteristics you have and whether you would benefit overall from taking hormone replacements. As you can see from this quiz, there are quite a few women that hormone replacement therapy doesn’t work so well for. The problem here is that other solutions are hard to find and there isn’t much evidence to say how well they work. 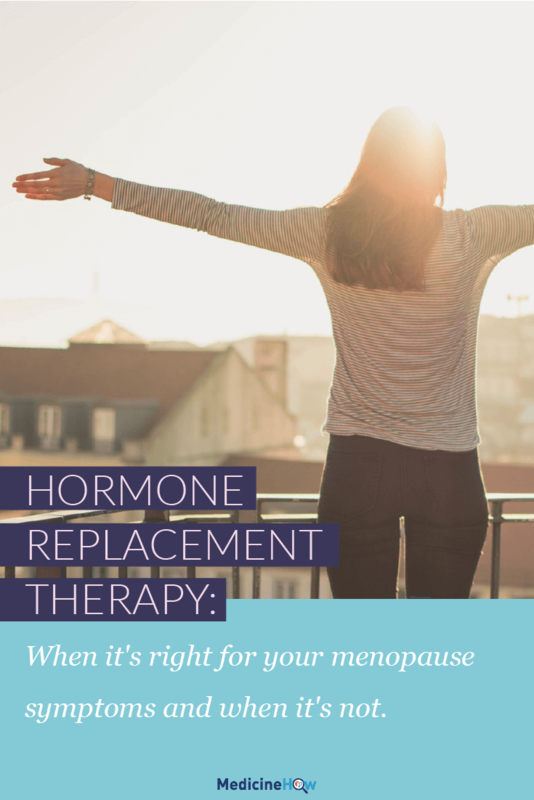 This article may help for women that aren’t a good fit to take hormone replacement therapy. 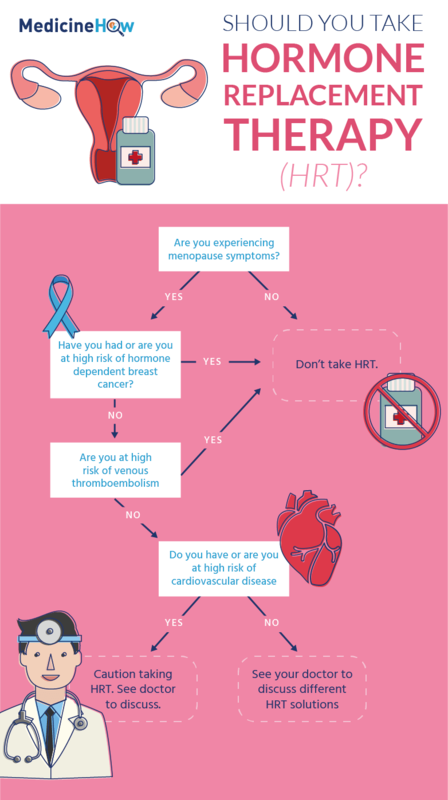 Do you have any questions about hormone replacement therapy? It can be a difficult idea to get your head around, so I’d love to hear any questions or ideas you have in the comments section below!